Finer Filters Ltd was incorporated in 1989 and has established itself as a major supplier of heavy-duty filters, first responder and safety preparedness products in Ireland. It has become a “One stop Shop” for transportation and machinery fleet operators in Ireland and is now acknowledged as a premier supplier offering a “Bumper to Bumper” service for all their filter requirements. The business is built on not just supplying filters but value for money. 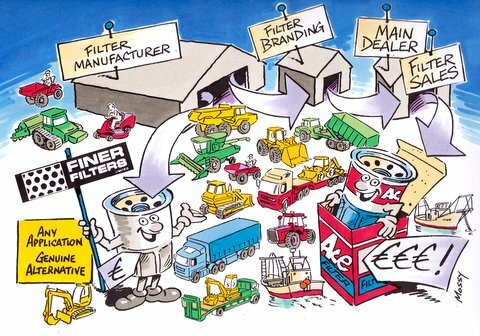 Finer Filters is constantly sourcing new suppliers and are never slow to pass on lower prices to our customers. 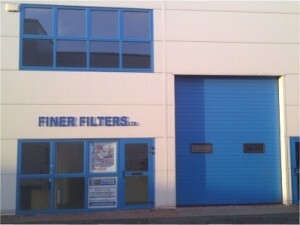 Finer Filters Ltd is a family owned business, located in Midleton in County Cork. Our staff are experienced in all aspects of the filter business. As part of our operation we can offer an onsite analysis of a fleet’s filter usage and advise on duplication and recommended stock level. We also offer advise on filter disposal and waste oil handling. Quality is assured with all suppliers participating in up to date ISO and or SGS certification. Our customers include some of Ireland’s first responders and major heavy equipment fleets including Swan Plant Hire, Dave Power Plant Ltd, The Lisheen Mine and more. Minimum stock quantity systems are in place in many of our customer facilities and supported up by our 32 County next day delivery commitment. Contact us now for a quote and experience the value for money we offer.